There are hundreds of blog posts for every day of the year that talk about the process of content marketing; the difficulty of creating a sufficient volume of high quality content; and executing the myriad of internal and external steps to align the entire organization, nurture leads and interpret data. But here's an important reality. If you really embrace inbound marketing in all its nuance and detail, then you are marketing at a sophisticated level. And therefore you probably have some microsites targeting specific industries (or perhaps personas) and a variety of contextually dependent content. Large and sophisticated marketing operations obviously do consider this tool as carefully as others. But many SMBs view it as an extension of the design and site building process. Initially, of course, it is. But once a site is published (emphasis on function over form as @stevehall reminds us) the work of content becomes the raison d'etre for the CMS. So shouldn't the ongoing, day-in-day-out use of the tool for managing content be the real acid test for a CMS rather than the tool with which the web designer is most comfortable, a favored blogging tool, the one with the greatest range of low cost themes or the one that is bundled with some other tool? Your putting real marketing dollars into your content marketing effort, shouldn't you use a real tool for the heart of the infrastructure? And how well defined are content marketing best practices, anyway. This superhot (appropriately so - it works) marketing method that really only got a name a year or two ago is evolving quickly. It's fair to assume that the methods and approaches that are cutting edge now will likely evolve quickly. Your CMS should be robust enough to accommodate the unknown changes which you'll face. Additionally, the folks you are marketing to today are quite likely different than those to whom you will market in a year. Not only do buying habits change, but global markets are rapidly becoming the centers of growth as the traditional domestic market is stagnating. What's that mean? 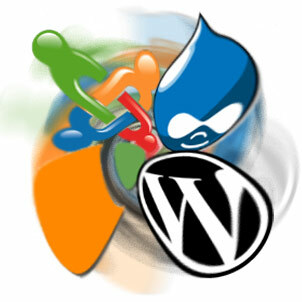 Your content management system ought to be able to handle multiple languages and multiple cultures across multiple domains - all with work flow capability to allow local channel partners, translation and localization resources and other internal and external resources to access parts for which they have responsibility. Have you stopped to think about the hassle, complication and massive amount of duplicated work involved in logging into separate CMS portals for each domain/language/microsite? If you've got one now, it may seem inconsequential, but in several years you will certainly have several. If your business intends to grow and thrive, you will be doing international inbound marketing. Plan for it now. I recently met folks from E-Spirit at their new US offices. I'm certainly no IT expert nor am I an enterprise software reviewer. In fact I'm an easy sell if something looks like it will work and really make me more effective, more efficiently. So this isn't an official review. It is a gut feeling though, based on the perspective of someone who uses and manages sites built on various popular CMS tools. FirstSpirit looks pretty darn cool. My goal was simple - to find an affordable (it is), intuitive (it is), powerful (it is) tool that would let a diverse team manage the volumes of multiple language, persona and market content required to really leverage the power of global content marketing. My take? This is a tool worth putting on the short list to consider. Want to discuss it? Give me a call. Want to understand how international inbound marketing can help you inexpensively and efficiently develop new markets? Let's talk. Thinking that slow domestic growth isn't going to give you the trajectory you forecast? Let's explore which global markets represent opportunities for your product and company.